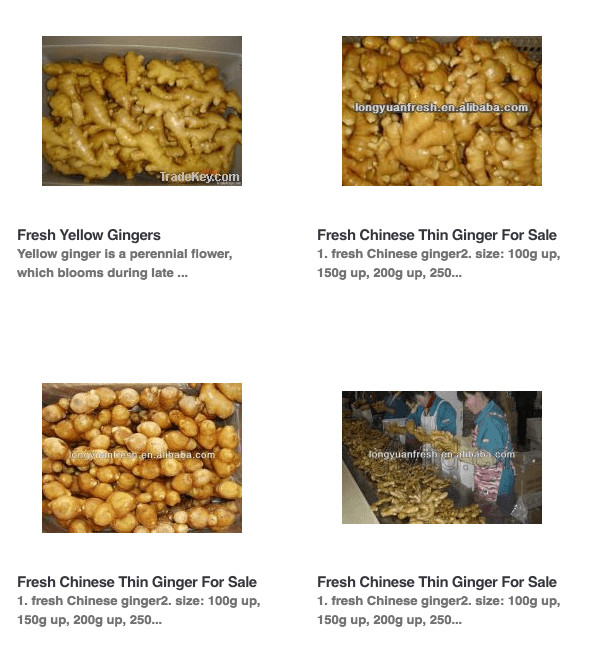 China is the main exporter of Ginger in the world. According to HS 091011 codes, this market sells around US $ 402 million per year, represented by 440.888 tons. In the last five years this market increased their exports value of Ginger in a 40.41%. All that comes from Ginger, Neither Crushed Nor Ground. In 2017, the main destinations were, with a 14% The United States, with a 14% Netherlands, with 9 % Pakistan, with a 9% Arab Emirates, and with a 8% Japan. “Jining Greenland International Trading Co. Ltd is a famous and quality Exporter of fresh fruits and vegetables from China. The company is focused in exporting wide range of fruits and vegetables to the nationwide and across the world to our customers. We are devoted in supplying fresh, high quality and the best vegetables and fruits to our customers as we are dedicated to serve them with what they need. Jining Green Land is situated in the beautiful province of Shandong where we have our base planting zone for planting all such fruits and vegetable we export to the world. Here, we also have our processing fruits and vegetable factory and cold warehouse where our stock has been preserved for export. We process the fresh vegetables and fruits here of all seasons including China fresh ginger, fresh garlic, potato, carrot, chestnut, nuts, grapes, apple, kiwi fruit, pear, pomelo, and frozen products etc”.